Develop your dancing skills and confidence with our 6 week series – Salsa Plus for Beginners. We'll be announcing our upcoming 6 week series soon. Make sure you join our newsletter so you hear about it in time to register. Click here for more information about the class format, musicality, venue, attire, policies, and registration. In this class you will learn the fundamentals of Cuban style Salsa and the basics of Bachata, Son and Cha Cha Cha. Salsa Cubana, also known as "Casino," is danced individually, as a couple, or in a group. Rueda de Casino ("Salsa Wheel") is danced among multiple couples via call and response. In this fun and engaging series, Rueda is used as a methodology to expedite Salsa learning in any format. Focus is on the individual dancer in connection with a single partner. By the end of this series you will understand timing, body movement, lead-follow technique, space use, footwork, turns and combinations. Music is provided, video recording allowed and dance performance opportunity available. Class begins with a body movement warm-up. We teach step variations and movement patterns in rotating lines. We then apply these step patterns and turns in partner format, where combinations are formed through lead-follow. Rueda de Casino is used as a method of partner rotation and collective dance. Class ends with a 15 minute practice session, where repetition of moves and individual assistance help students solidify skills. In Salsa, timing, rhythm and dance flow is cued to the dancer through layered music. Lead and follow between partners is created through the frame, points of connection, and tension. The essence of Salsa derives from a fusion of Afro-Latin and European music and dance forms, enhanced by contributions from music and dance around the world, including jazz, ballroom and various styles of pop. Salsa is both dynamic and accessible. 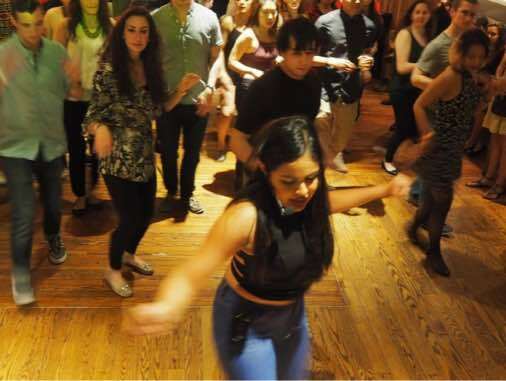 Beginner Salsa with Rueda de Casino will help you acquire the skills and sensibility necessary to survive on the dance floor, advance to higher levels, and form a basis for your own dance style. The Ballet Center of Ithaca is the official school of the Ithaca Ballet, featuring some of the finest dance studio space in the area. Wear comfortable, fitted, non-baggy attire. We suggest dance shoes, flats, worn sneakers or other well-fitted footwear that is easy to move in. Loose shoes and high heels not recommended. 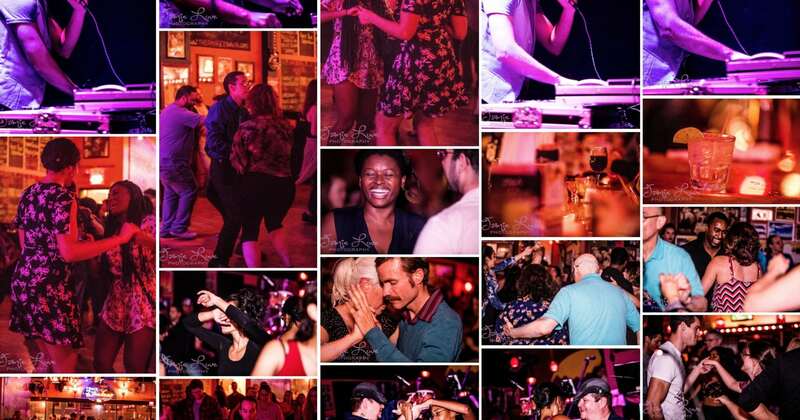 Every Wednesday Salsa and Latin social dance parties are held after class at Agava Restaurant. All students taking dance class with Palante receive a 10% dinner discount, good for the entire bill, on Wednesdays. Enjoy DJd Latin dance music, extra instruction, classy ambience, outdoor patio and a fabulous drink menu. Non-students: $75 for series, $140 per couple, $15 drop-in. Students: $65 for series, $120 per couple, $13 drop-in. Guarantee your place and save by registering for whole series. Discounts: $15 on series, $10 for students, $10 per couple ($5 each partner), $5 more for continuing students. Multiple discounts apply. Subscribe To Our Email Newsletter to Hear About Special Events and Parties!